Product Consists : Heart Shape Arrangement of 35 Red Roses along with Cadbury Celebration Chocolate Pack (Weight : 125 Gms). 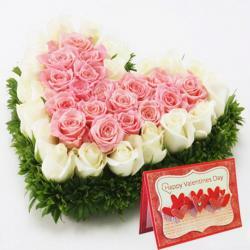 Beautiful heart shape roses arrangement which is perfect romantic gift for your beloved. 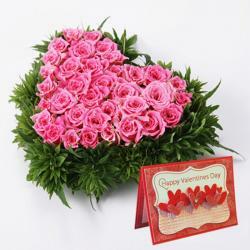 If your beloved loves roses, then this arrangement will definitely delight her on special occasions of valentines day. Comprising of thirty five stems of roses in perfect red colour they are freshly bloomed and look sublime and beautiful. 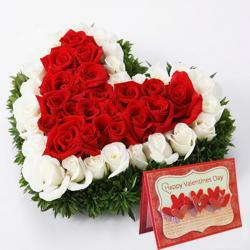 The flowers come in heart shape so that its arrangement is retained. Red Rose is a symbol to propose to your special one in life. This hamper also comes with Cadbury Celebration Chocolates Pack. 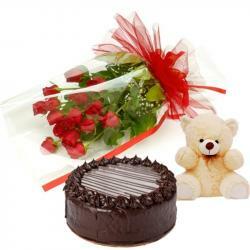 You will definitely appreciate the warmth and happiness that this gift combo signifies a love. 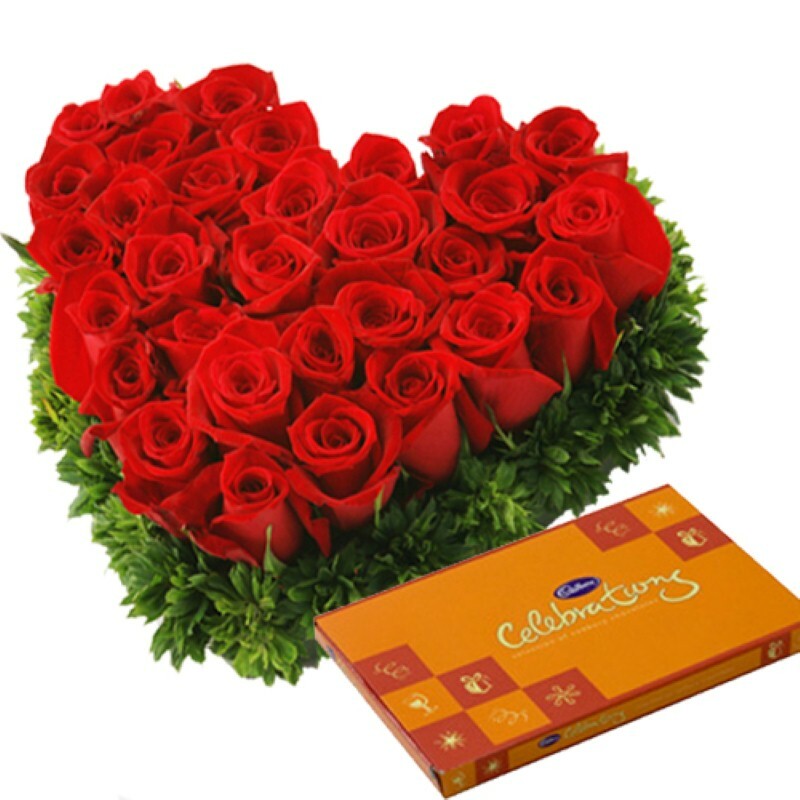 Product Includes : Heart Shape Arrangement of 35 Red Roses along with Cadbury Celebration Chocolate Pack (Weight : 125 Gms).